← First Listen Review of Leaked At. Long. Last. A$AP. Before I do my next review I wanted to make my rating system and update you. 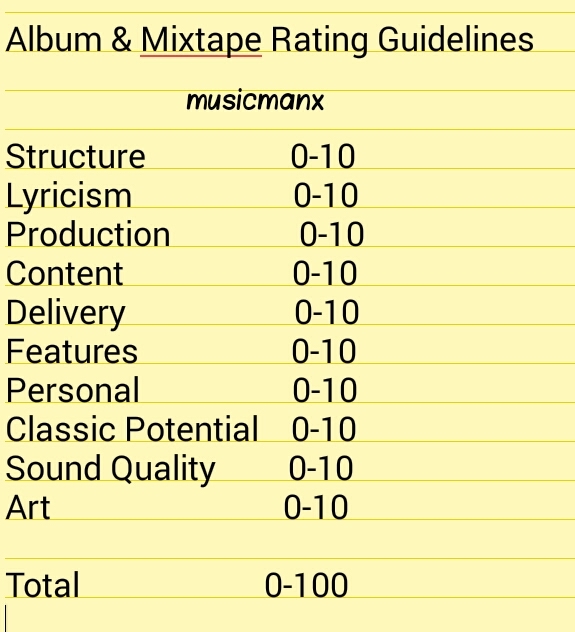 First albums & mixtapes will be rated out of 100 with 10 categories to add up. Singles will use the same categories but will be rated out of 0-10. Here are the categories I’ll do a quick run through description of each. Structure for an album would deal with intros, outros, and interludes. This also includes flow of the album or mixtape. Lyricism is what we all know it to be which is quality of the lyrics. Production is the beats and samples used throughout the album or mixtape. Content is if the project has meaning and what type of meaning. Delivery is the flows and punchlines throughout. Then features is pretty simple along with sound quality. Personal is if I like the project personally. Classic potential is a big factor in grading and knowing if the project will have historic value. Last is art this is for cover art in the album and if it fits the vision portrayed. 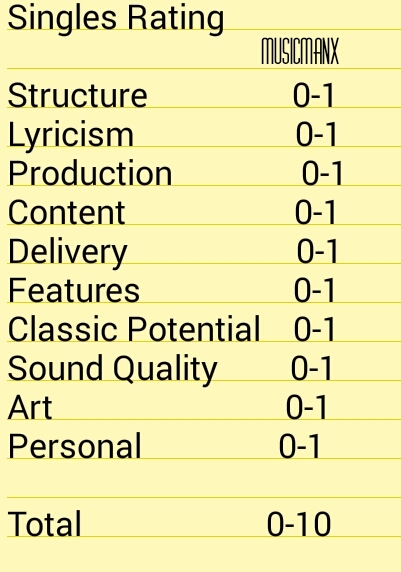 This is how albums and mixtapes will be rated by me. For singles it’s the same thing like I said previously so I don’t think I need to go in depth again. Thanks for reading be sure to like, share, comment, and enjoy! First Listen Review of Leaked At. Long. Last. A$AP.